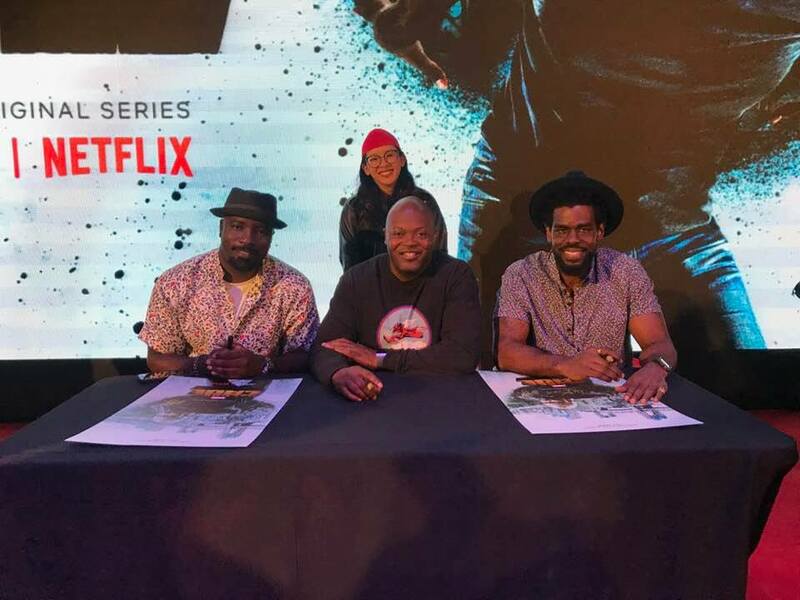 I Met Mike Colter aka Luke Cage This Weekend, and I Was Legit Starstruck! It takes a lot for me to get legit starstruck. I'm actually usually pretty good around celebrities. This has been proven time and time again when friends in Bangkok would hire me to 'keep international celebrities company' merely because I treated them like normal people. Not once would you see me asking for a photo or getting tongue-tied around them. Not once. I was more about making memories and anecdotes with them than trying to get proof that I met and spent time with them. Me treating them like normal people kinda changes when I have a crush on them, though. This has also been proven time and time again when I very, very awkwardly met Jeron Teng. And again when I very, very awkwardly met Nikko Ramos. Sadly, it happened again when I very, very awkwardly met Mike Colter aka Luke Cage at the Netflix press junket at AsiaPOP Comicon this weekend. The funny thing is that a week ago, I didn't even care about Mike Colter. Like, at all. I never even bothered to watch 'Luke Cage', truth be told. But then I decided to start watching 'Jessica Jones' AND MY GOODNESS. THAT MAN. IS HOT. 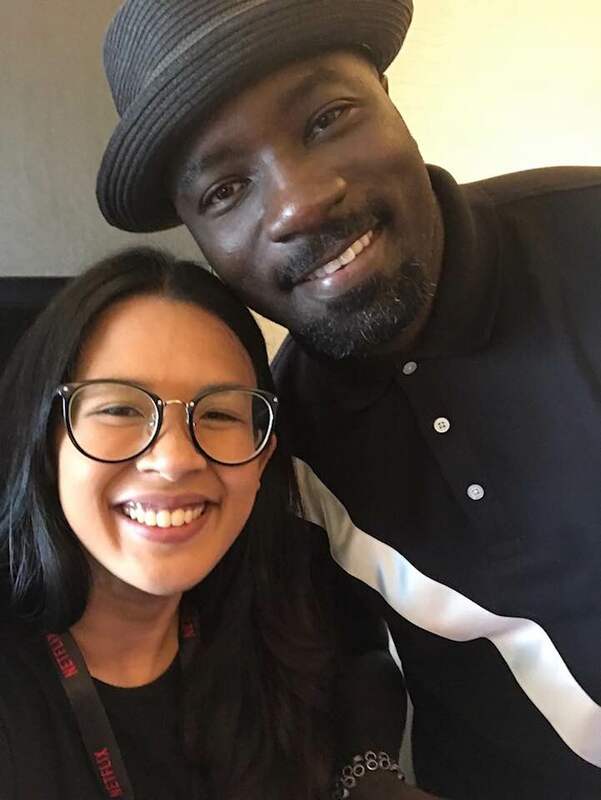 Within the couple of days right before APCC, I became obsessed with everything about Mike Colter. And then voila: I was going to meet him. 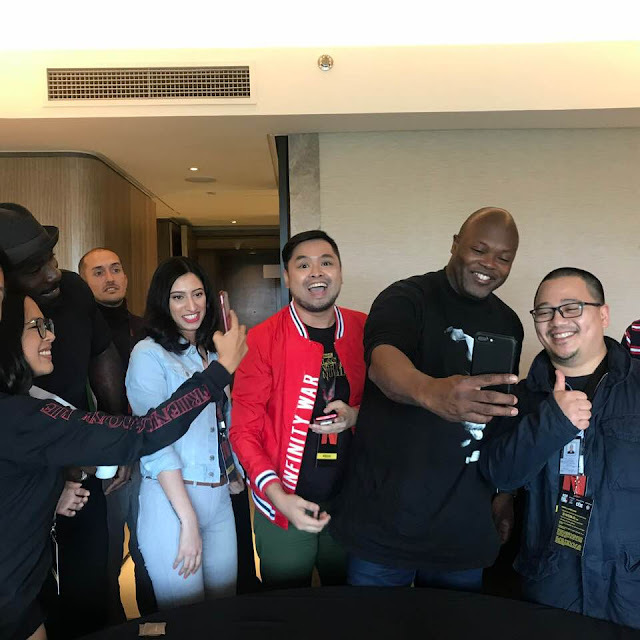 Before he entered the room, I was playing it cool and telling the other media people that I got their backs... that I'd be the one to ask him if we can take photos with him. Suffice to say: that did not happen. Fast forward to the moment he was about to enter our room, and I found my palms sweating and my throat constricting and I very briefly squealed "OMG, OMG HE'S HERE" before I completely and utterly lost my voice. I'm not even joking. It was a roundtable interview and every time it was my turn to ask a freaking question, I did that cutting-my-throat signal thing to signal that I couldn't speak... which I now realize actually means death. But I literally couldn't bring myself to speak. It's like a frog was literally living and chillin' in my throat. 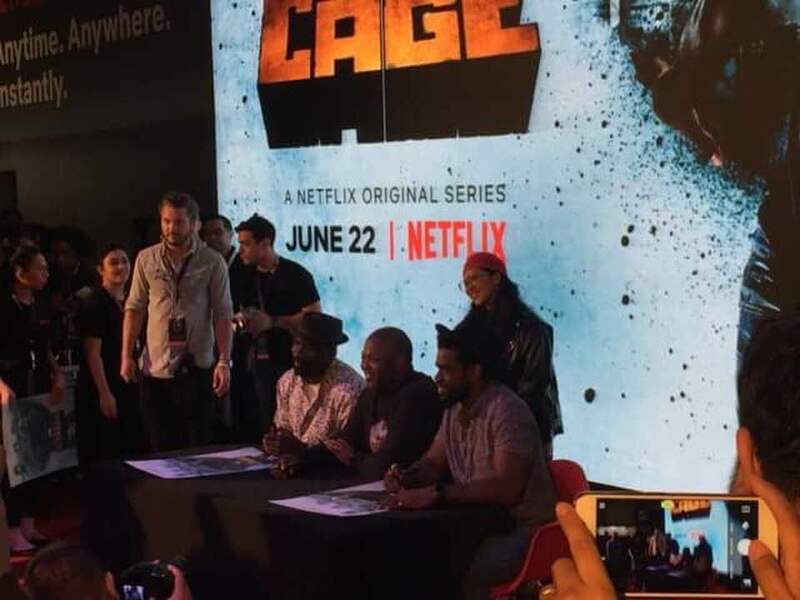 It was actually so bad and so obvious, Mustafa Shakir (who plays Bushmaster in 'Luke Cage' and was also part of the interview along with Cheo Hodari Coker)) actually looked dead straight at me and asked, "Why aren't you asking your questions?" Why??? 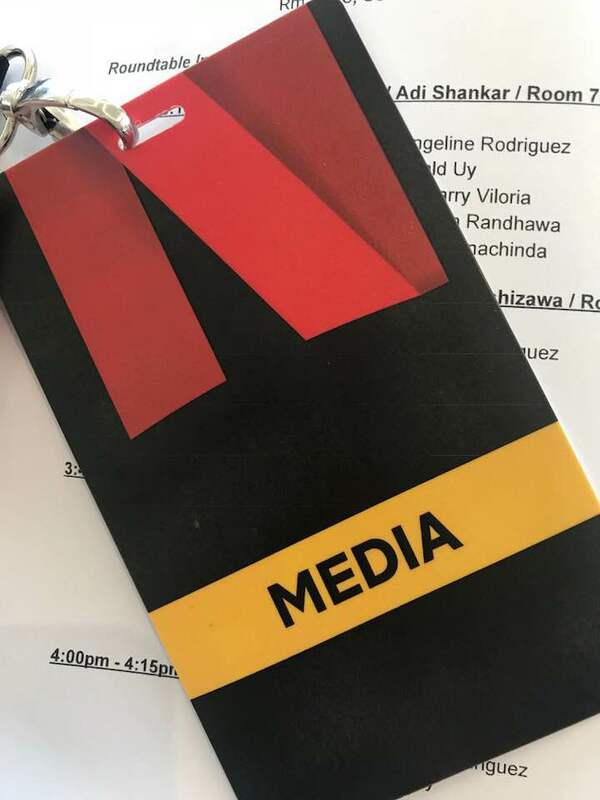 I'll tell you why: it's coz Mike Colter walked up into the room, smelling exactly the way you would imagine he would smell like (like a very, very manly form of heaven), sat down a chair away from me, where I basically just stared at his massive hands and luscious skin until he, get this: ORDERED SOME COFFEE. LUKE CAGE ORDERED AND DRANK COFFEE IN FRONT OF US. MY LADY BITS COULD NOT CONTAIN THEMSELVES. I COULD NOT CONTAIN MYSELF. WHAT DO YOU MEAN I HAD TO ASK QUESTIONS? Who could ask questions in that state?!?? And I even got a couple of posters signed. And I got to see him up close several times more after that. I actually mustered a very, very loud and very, very awkward "Hi" during one of those encounters... but that aside, I'd say things went pretty horribly and if I were in the 'Luke Cage' series, there is no way we would ever successfully grab some coffee together. I LOVE YOU, MIKE COLTER. I'll just try to rest easy by telling myself that a version of me in a parallel universe somewhere isn't such a loser. Omg I can’t believe you got to meet him. That is too cool.